Trackmania Turbo, the car racing game from Ubisoft which will be launching on November 27th, 2015, will now be playable via VR headsets. Game developers Ubisoft has announced Trackmania Turbo’s compatibility with both Oculus Rift and Playstation VR devices. Also, like every year, Trackmania was part of the Electronic Sports World Cup during Paris Games Week, for the ninth consecutive year. The game has more than 200 race tracks, and with the new VR headsets, the guarantee of an exhilarating gameplay. Ubisoft announced that Trackmania Turbo will be compatible with Oculus Rift and with PlayStation VR, once both the game and these devices are available. Trackmania Turbo, the latest installment in the Trackmania franchise developed by Nadeo, a Ubisoft studio, will be released on the PlayStation4 computer entertainment system, Xbox One and Windows 10 PC in early 2016. 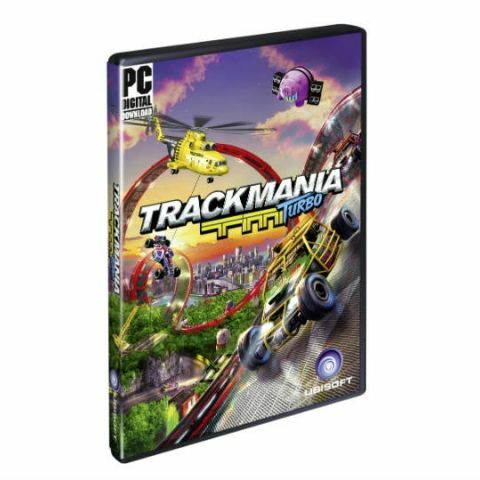 The Trackmania series is known for its thrilling and fast gameplay experiences and Virtual Reality is a natural fit for the series, by allowing players to immerse themselves deeper into the game when racing along the mesmerising Trackmania tracks. Players can experience the entire Trackmania Turbo game, including all tracks and game modes, whether they are playing on a console or computer, or with the additional VR device. For the ninth consecutive year, Trackmania was part of the Electronic Sports World Cup during the Paris Games Week. This year’s tournament included virtual reality for the first time and showcased the game’s compatibility with Oculus Rift. Trackmania Turbo features an “easy to learn, hard to master” arcade racing universe with time-attack gameplay where players set their own limits and challenges. The game revolves around an exhilarating combination of matchbox car fantasy and massive scale, focused on the pursuit of the perfect run around the track. Players can test their skills in the campaign mode, which includes more than 200 head-spinning tracks set in four beautiful environments, each with their own play style. Does it supports Volte ? Does it supports VR?